Heaven is full of worship and heavenly angelic activity punctuated by angelic Prophetic declarations. Revelation tells us of half an hour of silence. It tells us that the book of seals for wrapping up this age was none found worthy to open the seals. In this lack of worthiness so John wept but was reassured. We are placed in the time of Jesus’ ascension. We must understand that Revelation Is a panorama of eternity in the context of time. 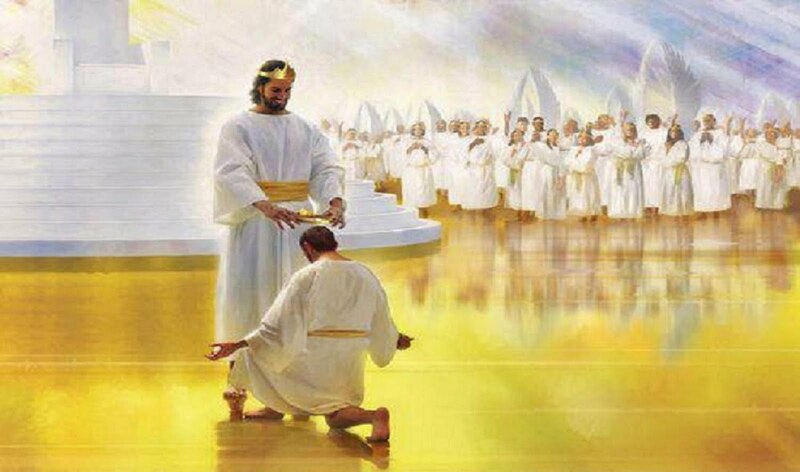 We then see that the Lamb overcame His own humanity and overcame death and in Ascending after Descending He now has the legitimacy to be worthy to open the seals. Philippians 2 relates that in every realm He was humiliated God the Father exalted Him. Now He comes forth and begins to open the seals of the heavenly book. Today Jesus is worthy to open the seals to bring us through spiritual shifts and heavenly changes here on the earth. What is taking place is that God the Father by the Spirit is getting the Bride ready for her union and creation ready for its abolition and the bringing in of the New Earth and New Heaven. Today there is a challenge. If Jesus has been crowned and exalted have we recognised His reign over us. Have we accepted it? As we receive Him in His Exaltation so too will we take our place with Him and in Him of victory and eternal life. The affirmation that we are priests unto God means we have a participation in the end time purposes of God. We see the multitude assembled before the Lamb. These are the witnesses of faith of Hebrews 12. And we see after the silence after the revelation of the Lamb we see the prayers of the Saints in vials now having influence in the end days. It is time we have a Reappraisal of prayer. Our prayers are the incense which move in synchronisation with God’s programme. How so often we see our prayers as insignificant, but now we see them carried to the Throne. Here they arise and cause a shift in this dimension. God wants to make us incense of prayer before Him. As the Lamb is revealed and brings heavenly subjection and so He is being revealed in our day to draw our subjection so that our devotion may please Him.